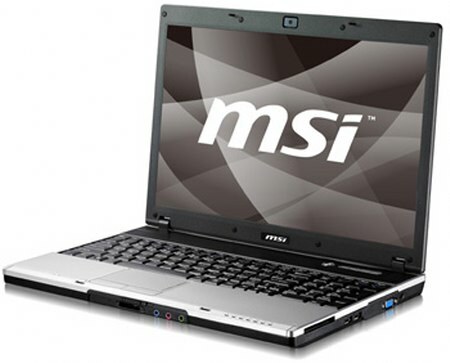 MSI announced the new VX600 series, 15.4 inch display notebook PC. 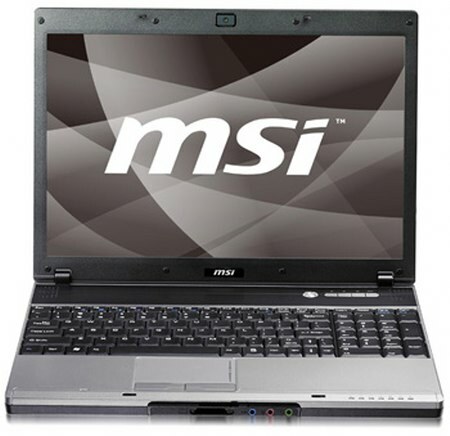 Its powered by an Intel Core 2 Duo processor, along with ATI Mobility Radeon HD3410 512MB graphics card, up 4GB of RAM and and 160Gb or 320GB hard drive. MSI VX600 series supports WiFi 802.11b/g/n, Bluetooth, 4-in-1 card reader, DVD burner. ECO Engine Power Management System with five different power saving modes extends life of 6 and 9-cell battery which are availliable. 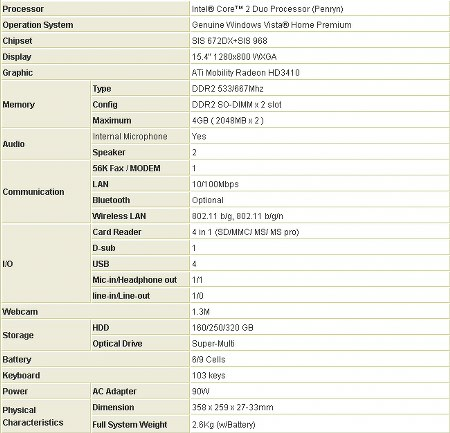 It measures 358 x 259 x 27-33 mm and weighs 2.6kg, but no word yet on price and launch date.